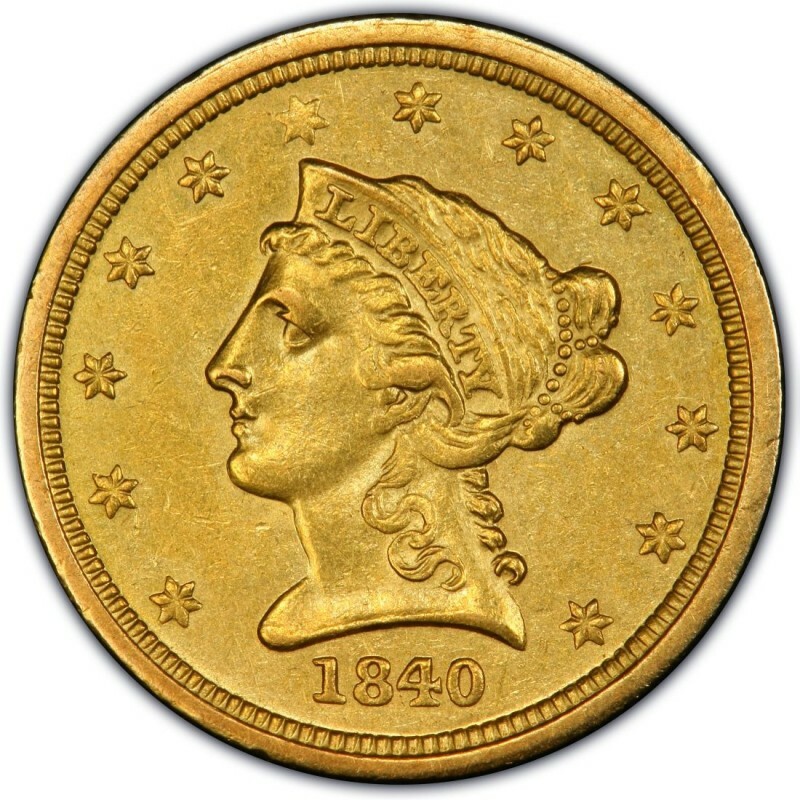 The 1840 Liberty Head $2.50 gold coins marks the first year of this series, which is also commonly referred to as the Coronet Head coin type. 1840 Liberty Head quarter eagles were made at four mints that year, including the Philadelphia, Charlotte, Dahlonega, and New Orleans mints. For the most part, the scarceness of the 1840 quarter eagles follows the pattern of most other gold coinage from that period, with the Philadelphia and New Orleans coins ranking as the most common, while the Charlotte and Dahlonega coins are considerably rare. Liberty Head quarter eagles are made from a composition consisting of 90 percent gold and 10 percent copper, which is the usual makeup of gold coins from the period. Liberty Head gold coins weigh 4.18 grams and measure 18 millimeters wide, making them about as wide as a standard dime. 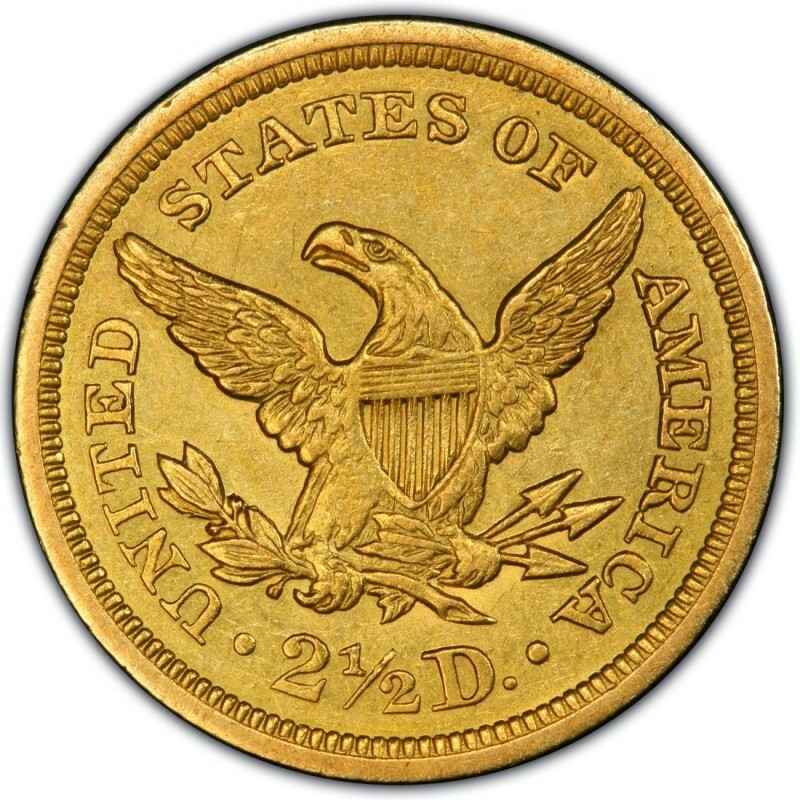 In total, 1840 Liberty Head $2.50 gold coins contain a total of 0.1202 ounces of gold. These coins were designed by Christian Gobrecht, the same coin designer who created the widely popular Seated Liberty coins struck from the 1830s through the early 1890s. He served as chief engraver of the U.S. Mint in the 1840s. 1840-O GOLD LIBERTY HEAD $2.50 PCGS AU DETAILS FREE SHIPPING NO RESERVE!!!! 1840 Liberty Head $2 1/2 Gold Quarter Eagle NGC XF40 RARE Date!